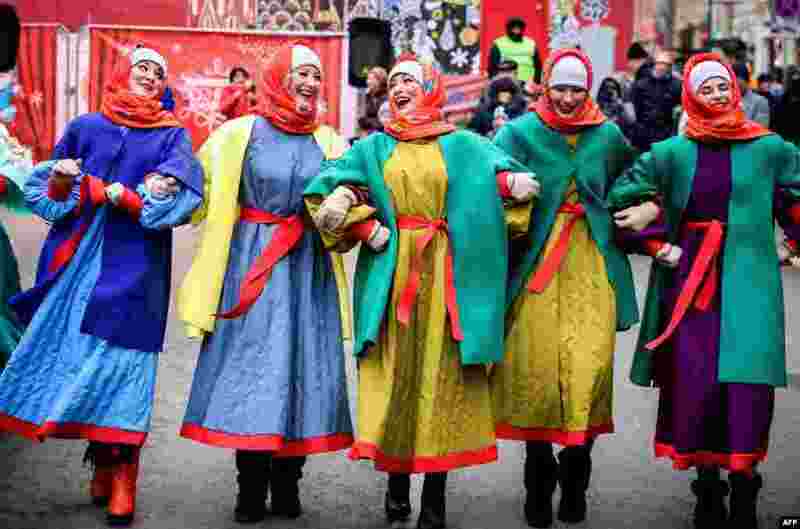 1 Street performers dance on Tverskaya Street during a festival marking the New Year and Christmas in central Moscow, Russia. 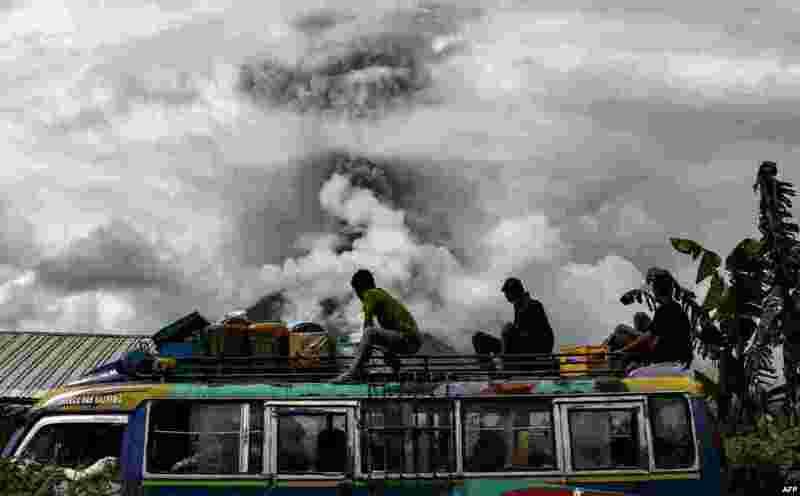 2 Indonesian bus passengers watch as Mount Sinabung spews thick smoke in Karo, North Sumatra. 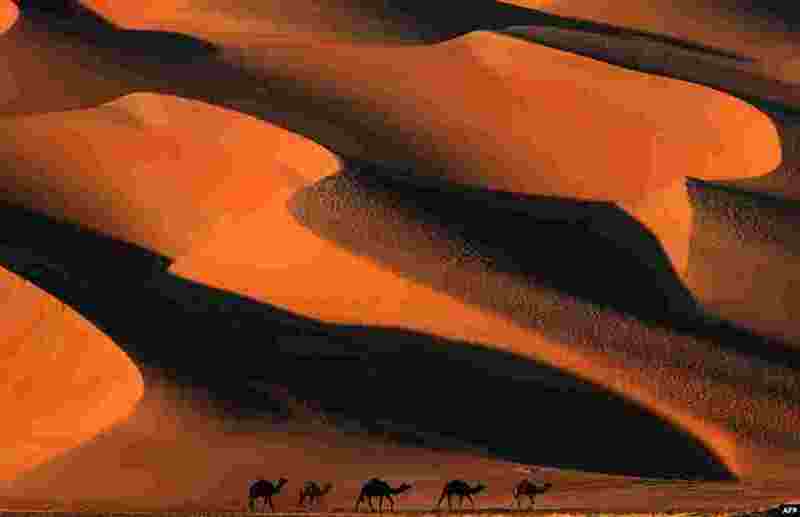 3 Camels walk across the Liwa desert, some 250 kilometers west of the Gulf emirate of Abu Dhabi, during the Liwa 2018 Moreeb Dune Festival. 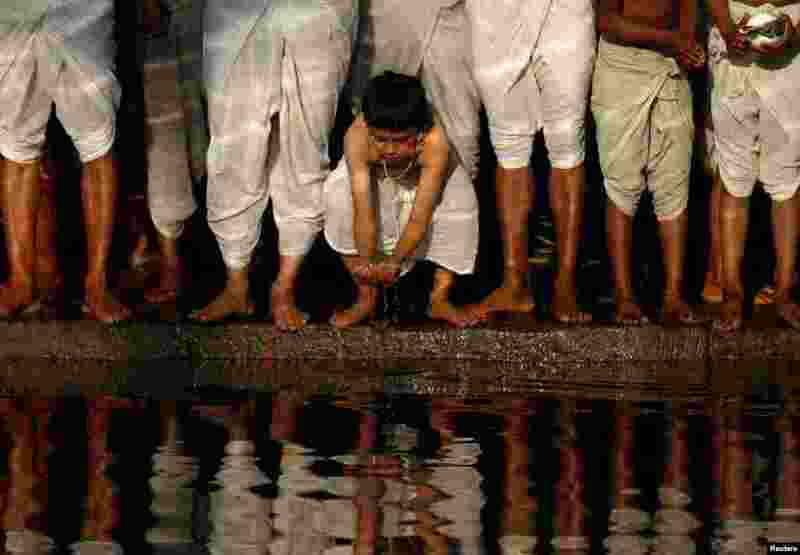 4 A young devotee grasps water while offering prayers on the banks of the Hanumante River during the Swasthani Brata Katha festival in Bhaktapur, Nepal.